For those who have served, a VA loan is a way to achieve home ownership. Did you know that with a VA loan a veteran can get into a home with 0% down? 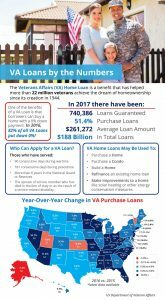 Click here to find out more and if you are a veteran looking to purchase a home in the near future, call me so that I can help you!